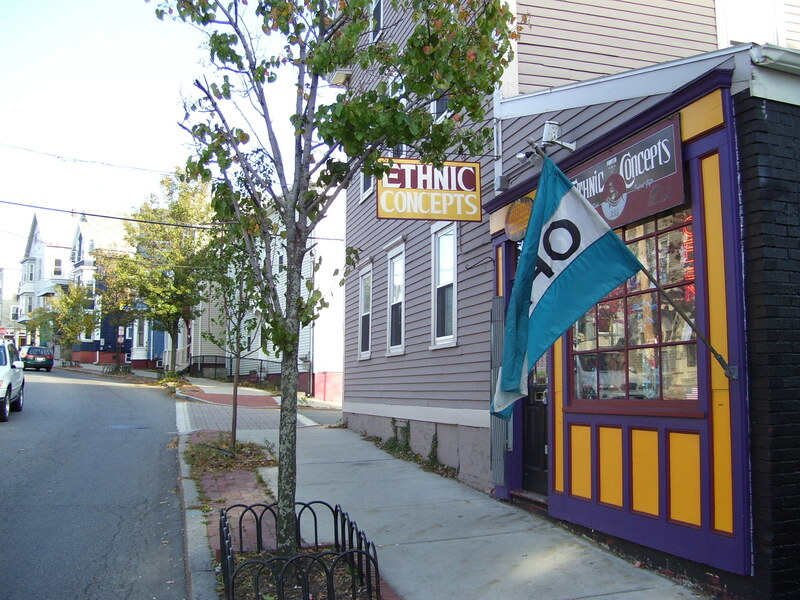 Providence Guide 3 of 4: Downtown and WIckenden Street! Despite being so small, Rhode Island has a lot to offer- especially in Providence. In addition to my last couple posts (click here and HERE!) there are two other areas that make up the rest of the city: Downtown and Wickenden Street. Wickenden Street has a really low key and cool vibe. It’s a bit on the smaller side so there isn’t a ton to do if there isn’t an event going on nearby. You can grab coffee at Coffee Exchange and then take a walk up the street to visit some of the kitchsy consignment and junk shops. If you’re into thrifting or antiquing, you can find some pretty interesting stuff here! Or if you’re into old time erotica (I don’t know your life…), there’s a shop along this street too! Two of my favorite restaurants on Wickenden Street is Brickway on Wickenden and the Duck and Bunny which I highlighted in my post last week! 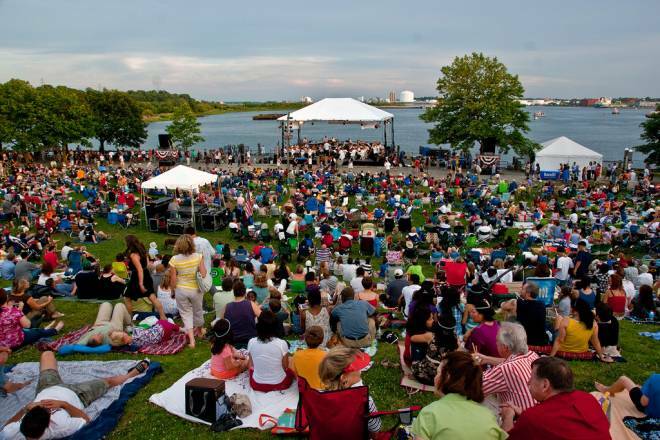 After grabbing your coffee or mini cupcakes from the Duck and Bunny, head over to India Point Park for a beautiful view of the Narragansett Bay as it looks towards the town of Cranston. Every year, the 4th of July fireworks are held there with a bunch of lively festivities (aka drunkards being drunk) and music! 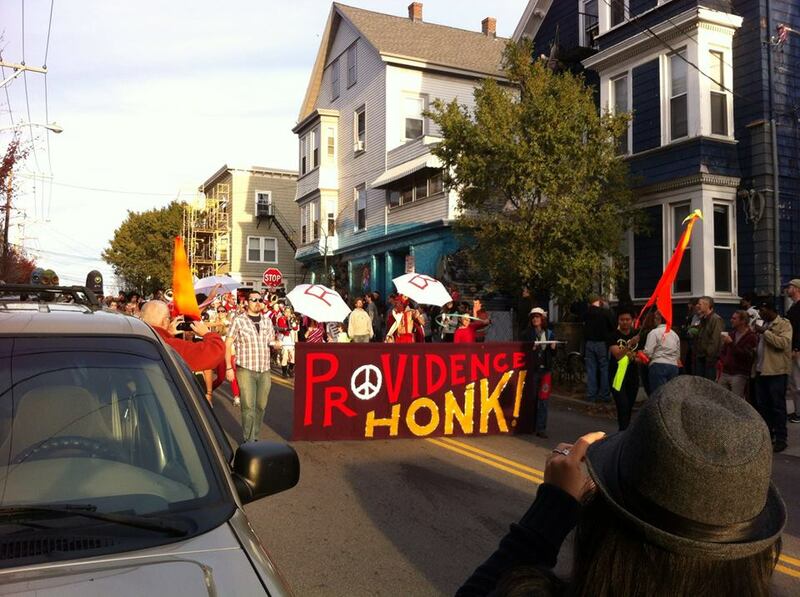 I’ve also been to an event called Providence HONK! where crazy brass bands marched in a parade and then held activities in the park. So much fun! Downtown is obviously where the most hustle and bustle is. There is ALWAYS some type of event happening downtown on the weekends! Right in the city center (and right next to the JWU campus!) is the Providence Performing Arts Center or PPAC as we fondly call it. They host concerts, off Broadway plays and musicals, and even speeches with people like Alton Brown! Parking always gets a bit crazy on those nights so bring your money for a spot in a lot although meters are free after 6pm if you can find one! 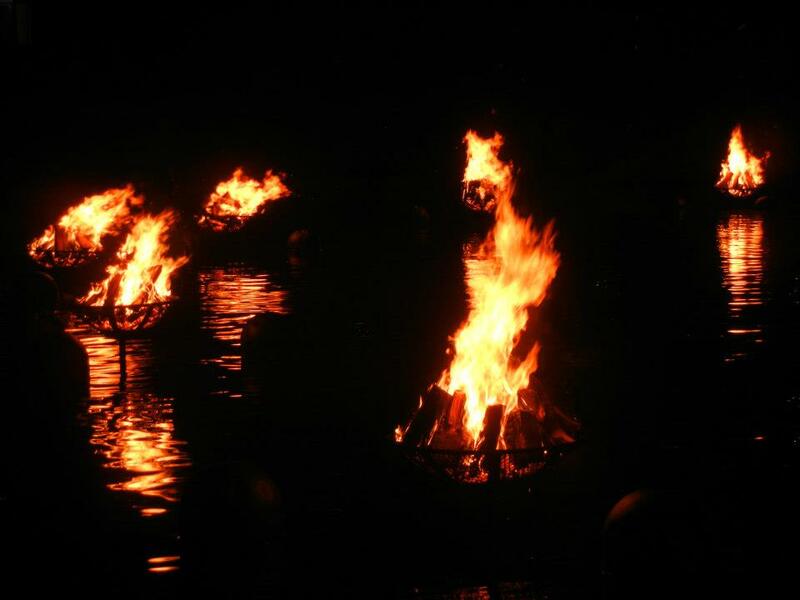 There is, of course, a myriad of restaurants and bars (which I’ll be reviewing on Thursday so stay tuned) but one of the most special summer events is called WaterFire. It’s completely volunteer run and was imagined by a local college kid as a way to create revenue over the summer months. Providence is basically a college town so the summer is slower comparatively. 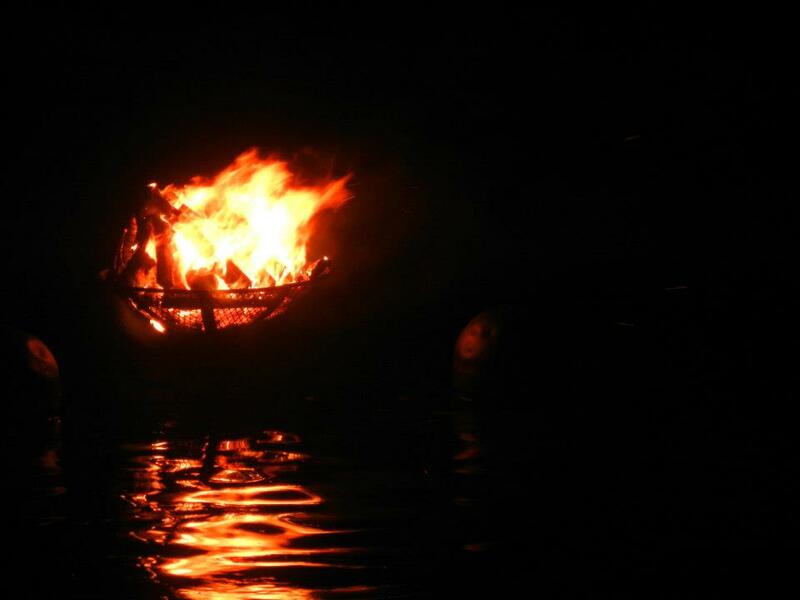 When it’s a WaterFire weekend however, all the hotels book up and thousands of people come for the tourist event! 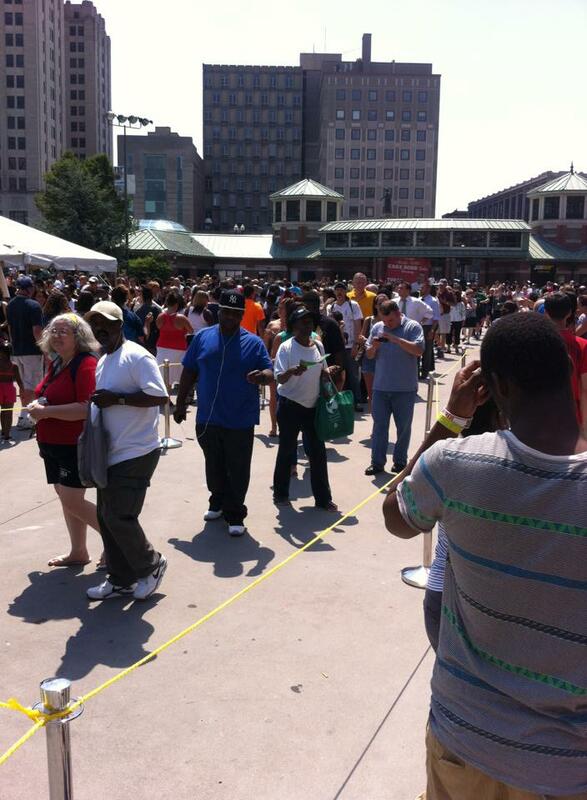 Food trucks and vendors line up, all the restaurants have hundreds of reservations and outdoor entertainment is abundant. 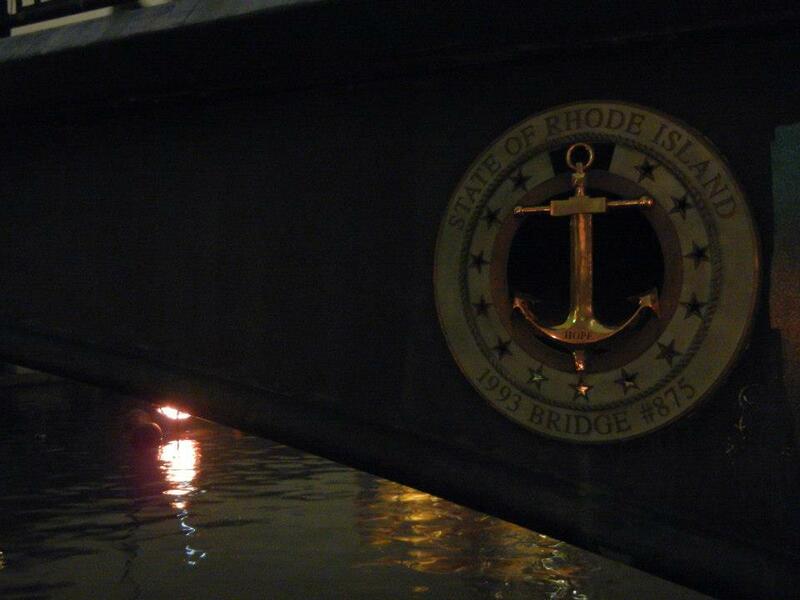 Basically they use the water canal that runs through Providence and light fire pits in the middle of the canal. People can then buy boat or gondola rides and experience the ambiance together. It’s super romantical so I’m waiting for the day when OKCupid or life actually pulls through and I can take a date there! Downtown Providence also has Westminster Street which is lined with strings of lights. Over the summer, TAZA (on the corner of Westminster) hosts movies on the block each week where you can bring a blanket and watch a movie projected on the side of a building. A local radio station also hosts free summer concert series at the ampitheater by WaterFire where a bunch of up and coming artists play. During the winter months, there’s an ice skating rink near Kennedy Plaza (the bus station) that also turns into a skate park over the summer. They host events there occasionally- a tree lighting ceremony in the winter for example! 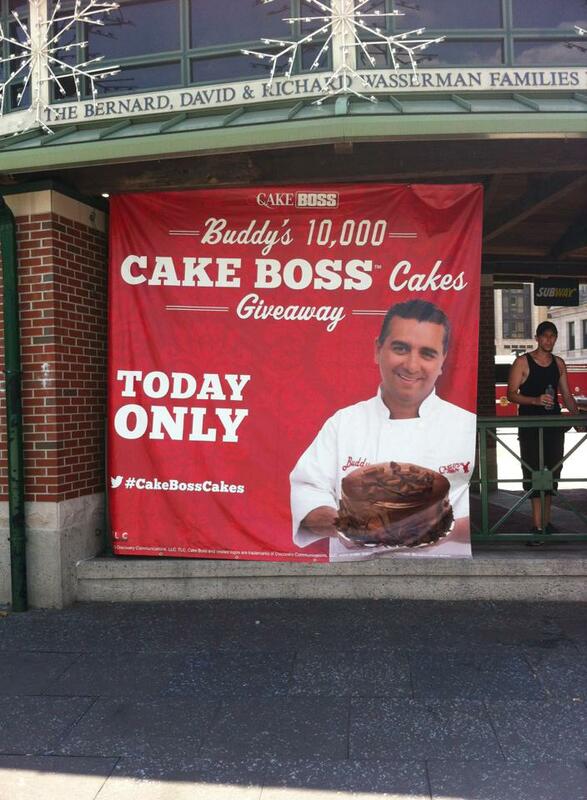 Cake Boss even came once to hand out free cakes as a promotion for their tour! A short walk from Kennedy Plaza is the Providence Place Mall filled with a ton of stores as well as a movie theater and Dave and Busters. 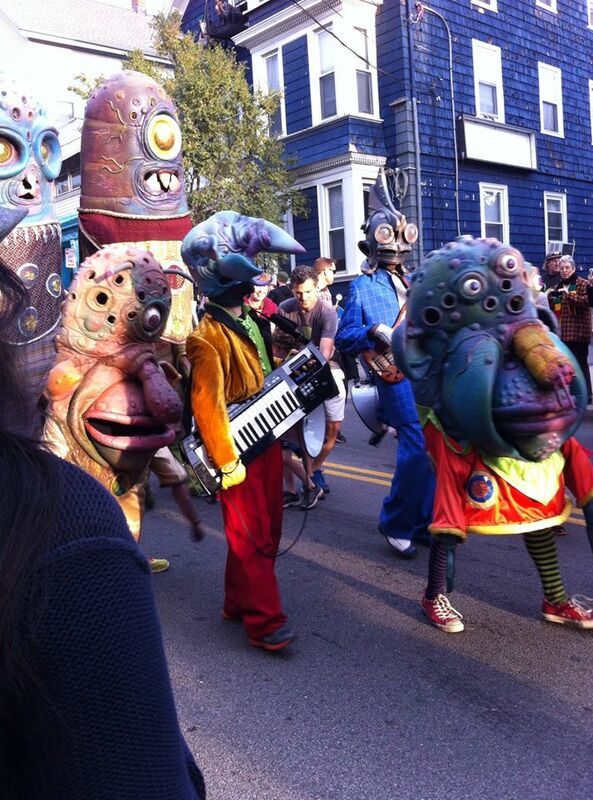 Providence always has something to do whether its a Cinco de Mayo block party, a RISD art gallery showing or even a historic walking ghost tour in the fall! Providence is one of my favorite cities in the United States and it’ll forever be my home away from home. It’s even super close to Newport- you can watch sailing competitions, take tours of the mansions or even take part in the Cliff Walk. There’s something for everyone! Check back on Thursday for my last post about Providence highlighting its bar scene! Drinkdrankdruuuuuuuuuuuuuuunk! Wickenden St is by far my most favorite street in Providence (doesn’t help that there’s three coffee places right there and I happen to be a coffee addict). I’ve tried most of everything on that street, but I haven’t tried Brickway yet. I’ll have to give it a try! Thanks for the recommendation.